You are allowed to renew your books without going to the Library by renew it ONLINE. Just go to the http://iportal.ump.edu.my and login (by enter your username <student ID> and password <by default (if you don’t change it) is 1234>). Renew has exceeds the limit allowed, which of two times. User can request an on loan item anytime through I-Portal. Be sure the status of the item in I-Portal is ‘check out’. The availability of your request item will be inform to you via email that you registered to us. The items request will be kept on the shelve at (Circulation or Media Counter) for (7) day from the date of receipt of items borrowed by other users. Items will be returned to the open shelve after (7) days. Users can make reservation at any time via iportal (http://iportal.ump.edu.my). Reservation can be doneon loan materialsonly. Status of reserved materials will be notified throughusers’ emailand account report in iportal. Reserved materials will be placed at the Reserved Shelf (Circulation Counter or Media Counter) for seven (7) days and will be shelved after that period. Once shelved, users need to make new reservation. The total of materials allowed to be reserved depends on the number of outstanding loan materials. How many items can i borrow and the duration? Ez-Proxy is a system that acts as an intermediary between UMP Library users and the Online Database subscribe by UMP. 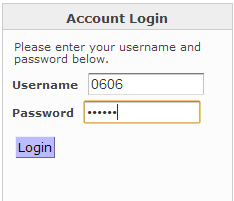 It only allows authorized users to access electronic resources available through I-portal from home or on the road. By using Ez-proxy, it allows staff and students to log in to databases remotely using their username and password.Once you have logged in Ez-Proxy, you will be able to access all databases without needed to enter any password. Currently, we have 14 (Online database), 10 (online journal), 5 (E-book), e-newspaper and E-article. The details for all databases will be explained later in next post. Want to learn how to use and search all the databases? We are strongly recommended to you to register in our user education class where we will teach you all about it. How to find book at shelf?